Well, here are a couple of photos taken today, see what you all think. Comments would be welcome, especially from those friends who got one of these plants at the AGM! Shots taken from each side of the flower cluster. Maybe I can start the ball rolling by suggesting a Fusca heritage. Could those white flowers be coming from coactilis? I presume this was not grown from your own seed. Identifying a(ny) plant from a picture is about impossible. 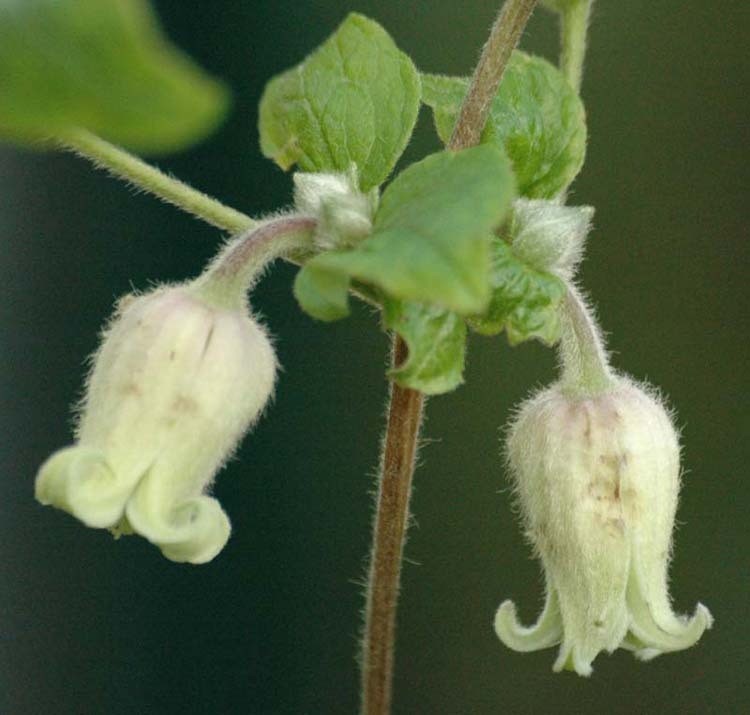 But, in this case you might try Clematis morefieldii. Int Clematis Society Journal 1996, page 56 & picture on page 57. As you state, your plant is clearly from cultivated origin, so be aware of making judments, especially with regard to "species". 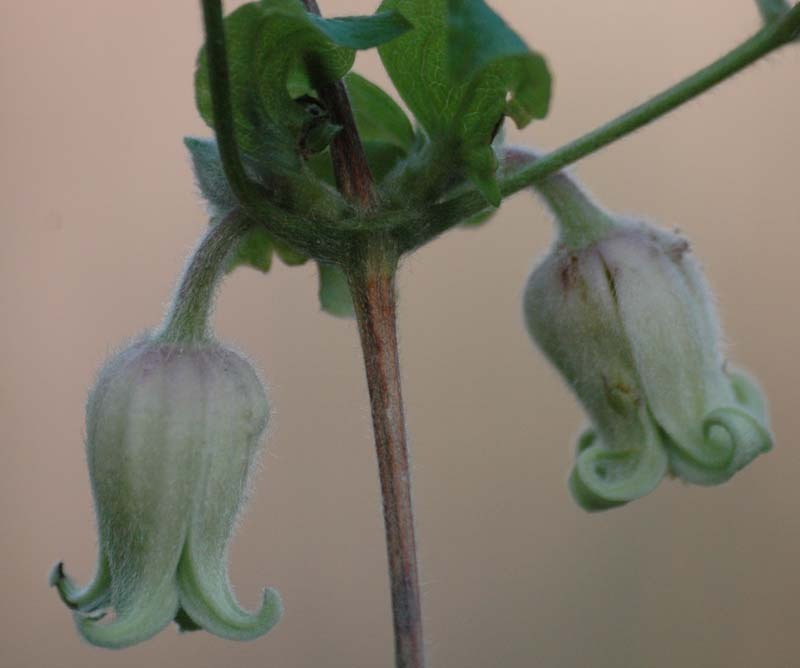 This means your plant might be a Clematis fusca hybrid too.